The Kortney Rose Foundation – Help Us. Help Doctors. Help Kids. The Kortney Rose Foundation (KRF) is a 501(c)(3) organization that was set up by Kortney’s parents as a way to help channel their grief into something positive. Their hopes are to make a difference, in Kortney’s name, in the fight to find better treatments and ultimately a cure for pediatric brain tumors. Our fundraising efforts will directly benefit pediatric brain tumor research. 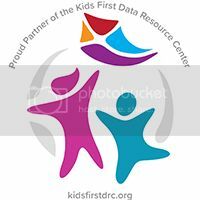 We asked a couple of our attendees to write about their experience attending a group visit with The Kortney Rose Foundation (KRF) to the Children’s Hospital of Philadelphia (CHOP) to learn more about the research KRF supports including the Children’s Brain Tumor Tissue Consortium (CBTTC) and a tour of the bio repository.